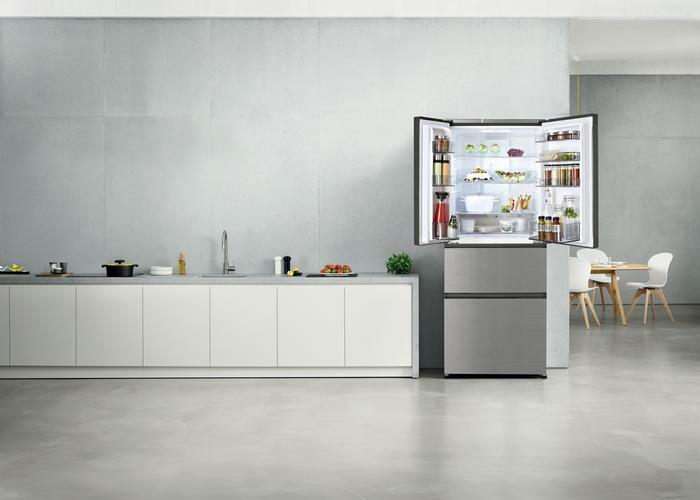 Panasonic has launched a new range of premium multi-door refrigerators with new models in a choice of 653 or 533 litres, a silver or white design, and glass door finishes. “Australians continue to spend strongly on household appliances,” said Chasnyn Ousmand, Product Marketing Manager, Whitegoods, Panasonic. The 653L models are available for $3599 and the 533L models are available for $3299. The multi-door design allows for optimal storage of food groups in separate compartments, complemented by nanoeX technology that effectively suppresses more than 99.99 per cent of bacteria and odours, according to Panasonic. The main refrigerator compartment has adjustable glass shelves and cooling surround airflow to preserve freshness. The tempered glass shelves can also withstand loads of up to 150kg. Additionally, Econavi technology allows for up to 10 percent reduction in energy use. A sensor detects changes in the amount of food being stored and the Econavi technology adjusts the temperature accordingly. For more information, visit www.panasonic.com.au.